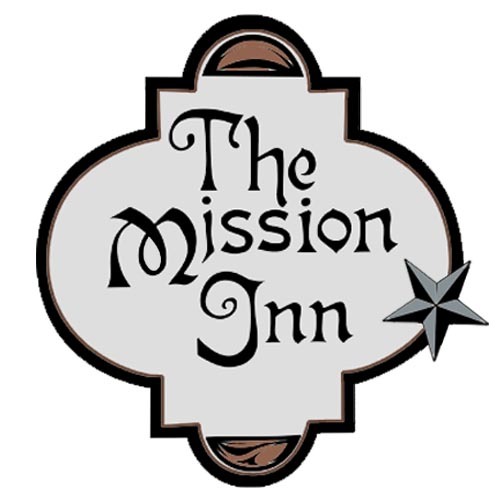 The Mission Inn is proud to present Music at The Mission, an intimate house concert series. We look forward to bringing you a memorable concert experience with talented and passionate musicians in an unique setting, our beautiful great room. We have already started planning our 2019-2020 schedule! A new list of performers that will be part of the next season will be added below as soon as they are confirmed. If you want to be notified as we add more just send us an email at info@missioninn.net and we will keep you posted. Unless otherwise noted, all concerts start at 7 pm and are open to the public with a $10 suggested donation - all of which goes directly to the artists. Plus, guests staying at the Inn the night of a performance will also get to meet and mingle with the artists over breakfast the next day. To learn about each artist on the schedule, see more details below. Julie Clark is an award-winning folk-pop artist from Virginia whose lyrics are honest and insightful, and whose voice is full of passion and sincerity. Her original songs focus on the human experiences that we all share and her acoustic delivery will fill the room with emotion. This concert is sold out - please contact info@missioninn.net to be added to the wait list. Phil Goldenberg is a classical guitarist based in Brooklyn, NY. An award-winning musician, Phil is known for the sense of drama and dynamic technical range that he brings to his music. This house concert is a collaboration with the the Friends of the Cape May Music Festival and the Mid-Atlantic Center for the Arts. The Chivalrous Crickets is a group based in New York City and rooted in "folk baroque", which explores the crossover between English, Celtic, and American folk music. This performance will feature a unique concert experience based around the history and legends of Robin Hood. Local Cape May favorites, the Honeyhawks are a husband-wife acoustic duo made up of Jay and Lelah Eppenbach. They play an eclectic range of romantic and vintage folk and pop songs, putting their own harmonic spin on a diverse assortment of covers and orginal tunes. Abbie Gardner is part of the well-known Americana group Red Molly. With her trademark Dobro slide guitar and melodic melodies, Abby is an award-winning songwriter. With songs that tell tales of love and loss, both gritty and sweet her recently released album, Wishes on a Neon Sign, showcases her singer-songwriter roots. Porter & Sayles returns to perform a holiday show this year! Singer/songwriters Christian Porter and Regina Sayles bring their Country Folk-Rock back to The Mission Inn for what promises to be an early Christmas present for everyone who gets to see them up close and personal in this intimate setting. With musical roots in acoustic, improv and freestyle guitar, Karl has performed all over the country. Over the year's he's opened for opened for Bruce Hornsby, Keb' Mo', Leon Russell, Livingston Taylor, David Bromberg and Richie Havens. His unique style creates new works of art out of songs that you know and love. We invited Christine Havrilla to return to kick things off for our second season - and she said yes! After bringing down the house at our final concert last spring, we thought she was the perfect person to start this new season. She will bring her unique "Neofunkadelicfolkpoptwangrock" style back to The Mission Inn for another high-energy and highly entertaining show. Christine Havrilla is known for bringing her “well-built, catchy, smart tunes” (Upstage Magazine) to audiences everywhere, touring nationally as a solo act as well as with Gypsy Fuzz. Christine utilizes the soft gritty texture of her vocals to express warmth and honesty that listeners quickly embrace as well as her aggressive, raw, trash-style guitar playing. She is currently releasing a series of "Live Sessions" into 2017 which will include long-time fan favorites as well as new songs with her current band, Gypsy Fuzz. Havrilla, who has seven studio albums, five EPs, 4 live albums, and over 18 years of touring under her belt, continues to venture out under “Christine Havrilla & Gypsy Fuzz” as well as a solo artist, showcasing all of her music with new twists. Goodnight Moonshine is a collaboration of songwriters Molly Venter of the chart-topping Americana group Red Molly, and Eben Pariser of the explosive Brooklyn quintet Roosevelt Dime. Co-writing often, Eben and Molly explore what it means to be in a healthy authentic relationship; both wholesome and irreverent, they sing of joy and grief in equal measure. Molly's voice bends from a sweet moan to a gritty shout and back into a playful run in the space of a few bars and "it all goes down like silk," writes American Songwriter Magazine; "few singers turn first time listeners into eternal fanatics as effortlessly as Molly Venter." The emotional potency of her voice is surrounded and supported by a lush landscape of harmonies and minimalist orchestrations conceived by Eben on vocals and electric guitar. Their first full studio album, released in July 2016, is filled with substance, style and a spirit that captures their songwriting prowess. Since the release of their debut album, Christian and Regina have opened for The Steve Miller Band, Frankie Ballard and performed their original work all over the US, including Asbury Park, NJ, New York City, Nashville and most recently in Austin during the iconic SXSW Conference and Festival. The Squares are a musical trio comprised of Debra Suplee Donahue, M.Q. Murphy, and J.M. Kearns. Their sophisticated, tuneful repertoire includes cover tunes from Patsy Cline to the Beatles and beyond, anything from jazz to folk to pop to blues to “unplugged” rock. They also do many original songs written by Kearns or Murphy. The Squares’ music reflects the real-life joys and travails of the human heart, with empathy and humor. F. Scott Fitzgerald famously wrote that “there are no second acts in American lives,” but these three late-blooming baby boomers ignored him and exploded into musical life at a local open mic in 2011. Soon they were playing every week, and quite liking it. Maybe they were over fifty, but they had a rookie sparkle in their eyes and they had young voices, because live performing came late to their lives. Their debut CD is out, and not surprisingly, it’s called Second Act. If Patsy Cline, Melissa Etheridge and Janis Joplin had a child C. Lynne would be it. Her dynamic, soulful vocals combined with intricate guitar picking perfectly compliment her thoughtful lyrics. Her musical style ranges from traditional country with a modern feel to folk rock and beyond. Her inspiration for creating music comes from a life well lived. From highs to lows, C. Lynne will drag you through the dirt, help you stand then show you the beauty being alive. A prolific songwriter and multi-instrumentalist C. Lynne has yet to be cornered into a single genre. Her music comes from life and it doesn't all sound like a country song. She writes songs of love, heartache, anger, peace, war within and without, awareness of humanity and our planet and everything in between. Kelly&Ellis is an award-winning acoustic duo from Nashville. Leslie Ellis performed lead roles on Broadway including Grizabella in “CATS” and won a Grammy® with Celine Dion for “My Heart Will Go On”. Casey Kelly began his career in the legendary “Greek Fountains” of Baton Rouge opening for major artists at arenas and stadiums. He then began writing hits at 1650 Broadway and the Brill Building, working among the likes of Carole King. He nearly joined Three Dog Night, toured with Tom Rushand The Beach Boys, and wrote #1 hits “Anyone Who Isn’t Me Tonight”, “Somewhere Down the Line”, “Only Game in Town” (recorded by America/produced by George Martin”) “The Cowboy Rides Away” – a signature hit for George Strait – among many others, and scored a brace of Grammy® nominations.